"Pardon me, are you Aaron Purrr sirrr?" The idea came to me during the bus ride to the first BroadwayCon in 2016. 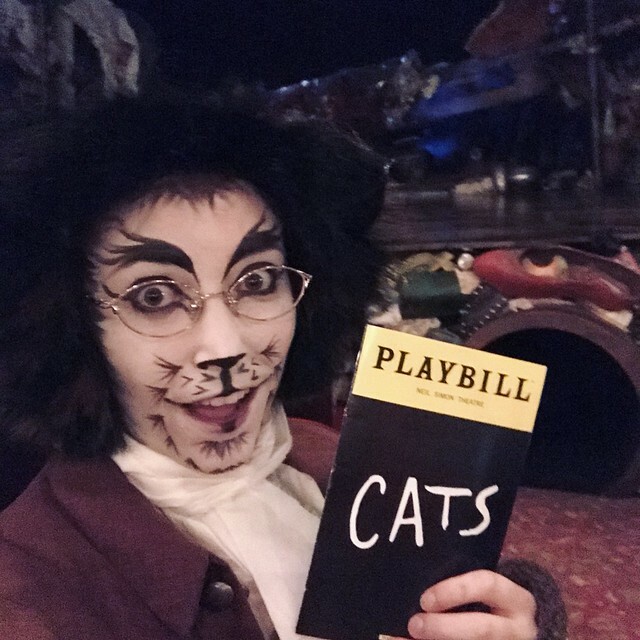 I was scrolling through Twitter on my phone when I found out Cats was coming back to Broadway that summer. It was beyond perfect timing! 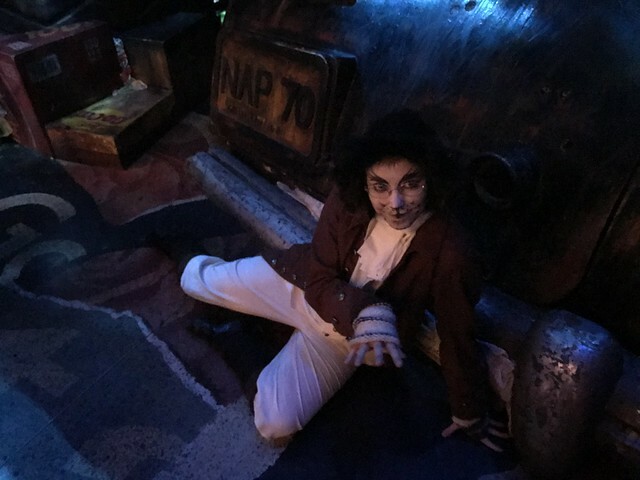 That year one of my cosplays was the Jellicle kitten, Jemima. 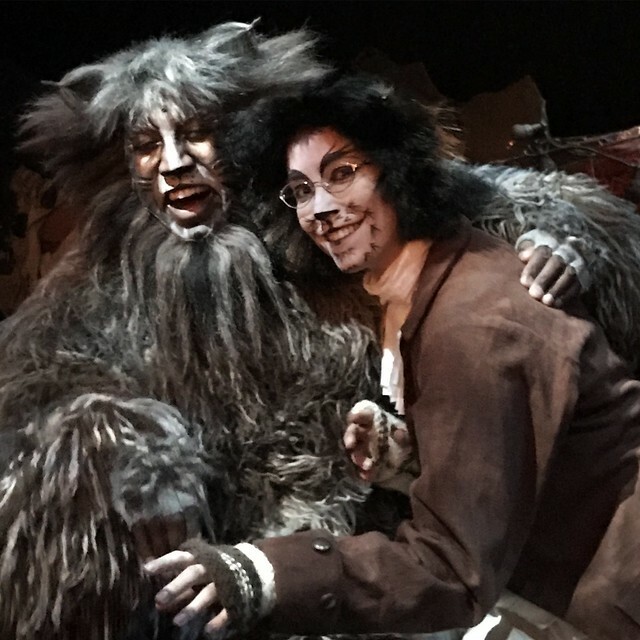 I think Lin-Manuel Miranda tweeted congratulations of some sort and the hashtag #cats4ham (a play on the hashtag #ham4ham) started to appear. 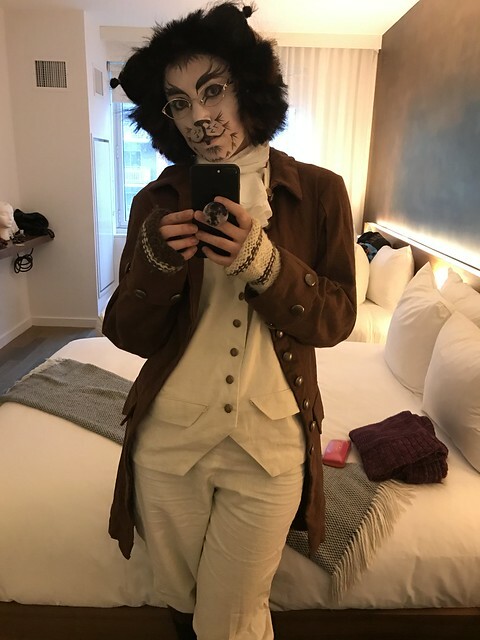 I immediately joked that I should make a Cats/Hamilton crossover cosplay for next year. Welp...jokes on me 'cause I did it! 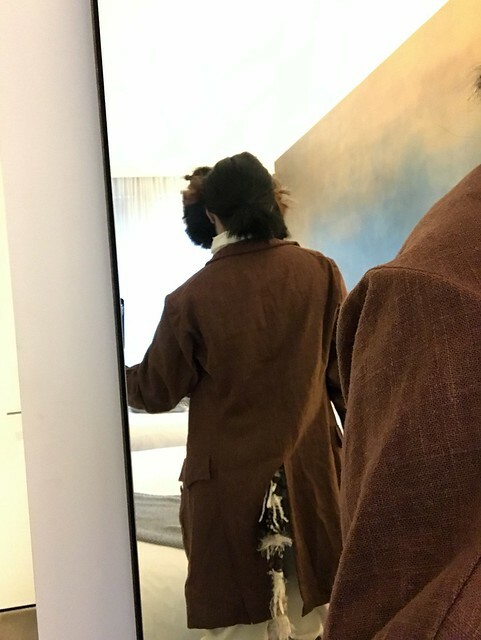 The costume I chose was Hamilton's opening look since it's brown and off-white. (Good cat colors and I already have my brown and cream arm warmers I made years ago.) Making the costume was a bit experimentation and a lot of patterned sewing. 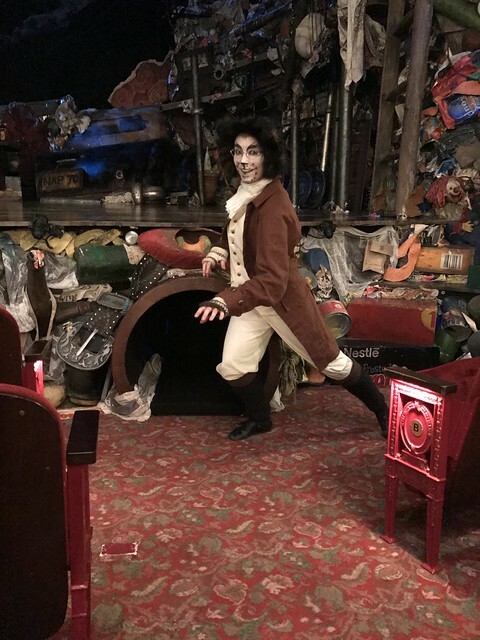 Most of the clothing was from a pattern but I did construct the cravat without a pattern, just looking at photos of Lin-Manuel in the show. I knitted myself some brown and black leg warmers to mimic his boots and a (slightly hidden) tail to match. 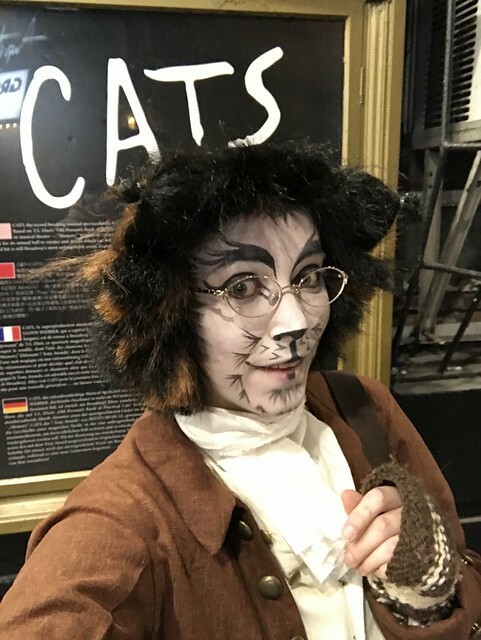 The wig was the most experimental part, Jellicle cat in the front, Patriot ponytail in the back. 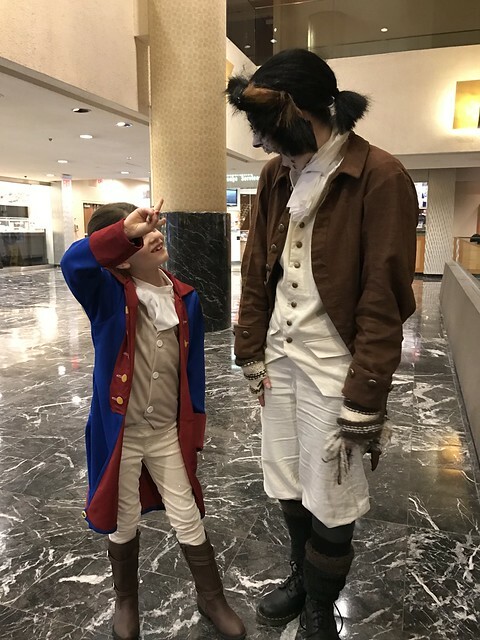 The entire week was beyond amazing, I made some new friends and everyone seemed to really get a kick out of my costume! 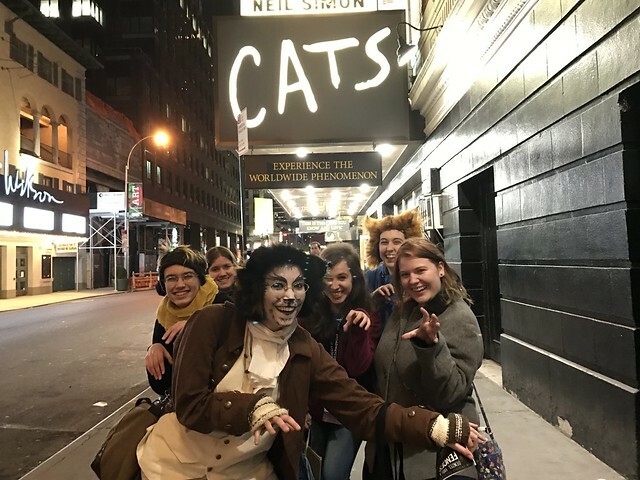 MEOWexander Hamilton was a success!